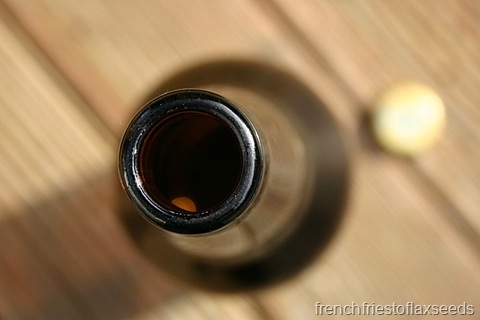 You are here: Home » You Put Beer In What?! You Put Beer In What?! One of my most recent baking endeavours looked like an episode of Chopped. You know, where the chefs open their basket of ingredients, and have to create a dish incorporating things that any normal person would never put together ever? 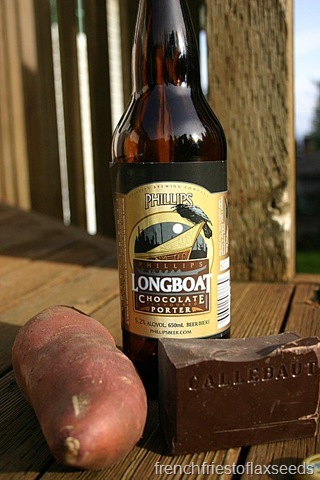 Beer, sweet potato, and chocolate. Say what?! It’s true. This was not some crazy creation I dreamed up one night. It was a published recipe that told me to do it! 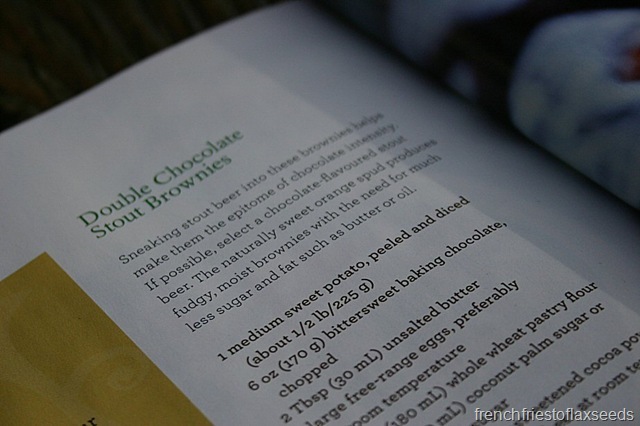 I had been browsing the March edition of Alive magazine, when my eyes became fixated on a recipe for Double Chocolate Stout Brownies. I may not enjoy drinking beer, but I quite enjoy cooking with it. I was determined to make these delights asap. Side note – I’m sort of in love with this picture. 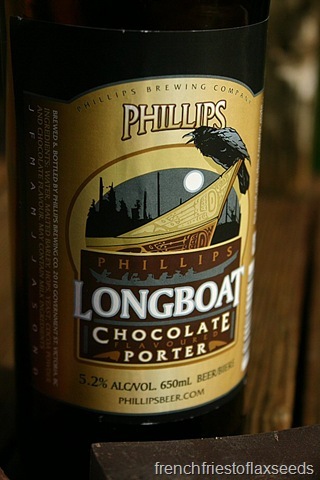 I made a special trip to the liquor store to peruse the vast selection of locally brewed options, and settled on Phillips Longboat Chocolate Porter. 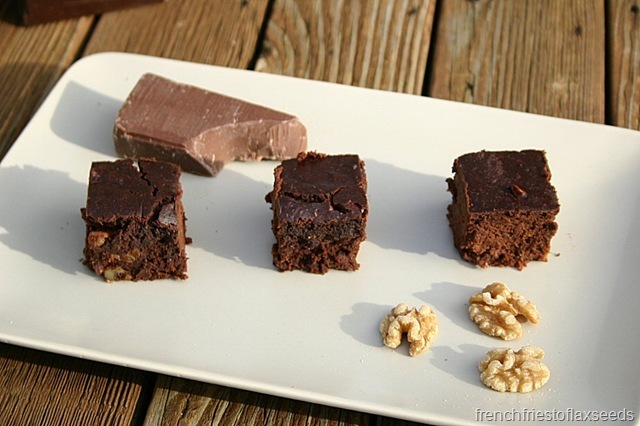 Because if double chocolate is good, then triple chocolate is better. Obviously. 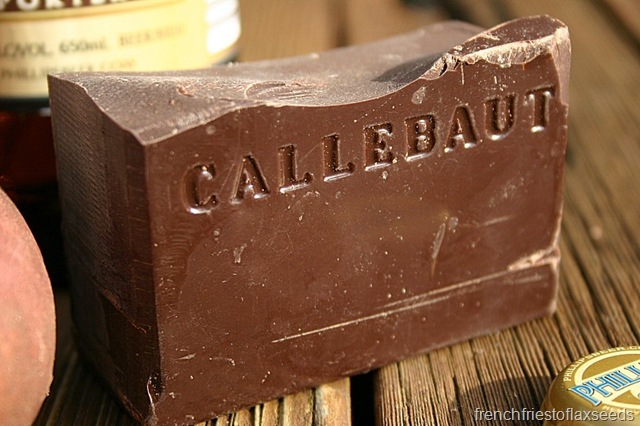 I also made sure to break out the good chocolate – Callebaut Dark. Mmm hmm. Anyways, after assembling the ingredients, I did the whole baking thing, and was left a double batch of delicious, gooey, chocolately goodness. 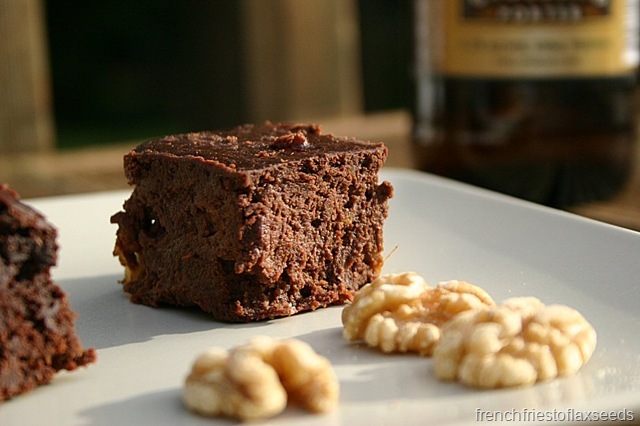 Now for the gratuitous brownie photos. 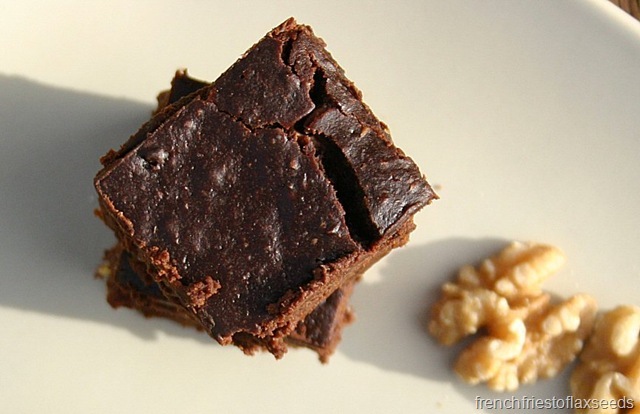 I may have undercooked the brownies a little, to ensure they were extra gooey and delicious. 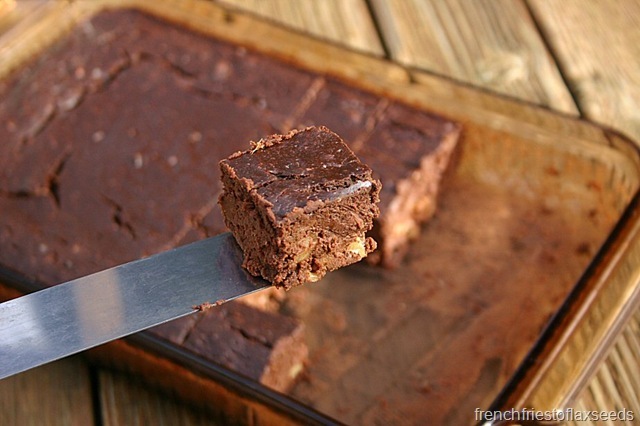 As all good brownies should be. 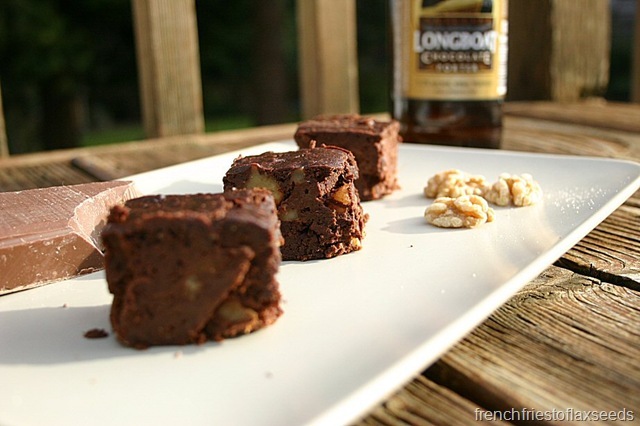 I only made slight tweaks to the recipe, simply due to what I had in my kitchen. I used coconut oil instead of butter, and half all purpose/half whole wheat flour instead of whole wheat pastry flour. I omitted the cinnamon, and used walnuts as my nut of choice. And I may have decreased the amount of sugar, but I don’t exactly remember. 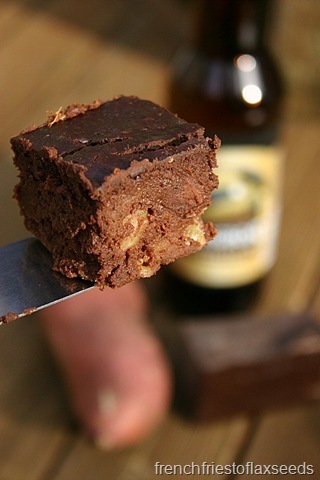 The beer added a great depth of flavour to the brownies. I found it more prominent in the ones from the centre of the pan, probably because they were cooked less than the outside pieces. If you are worried about the sweet potato being obvious, don’t be. As long as you mash it really well, it completely disappears into the batter. My family, coworkers, and a friend tested them, and they all gave them the seal of approval. Good thing, seeing as I had made a double batch and all. 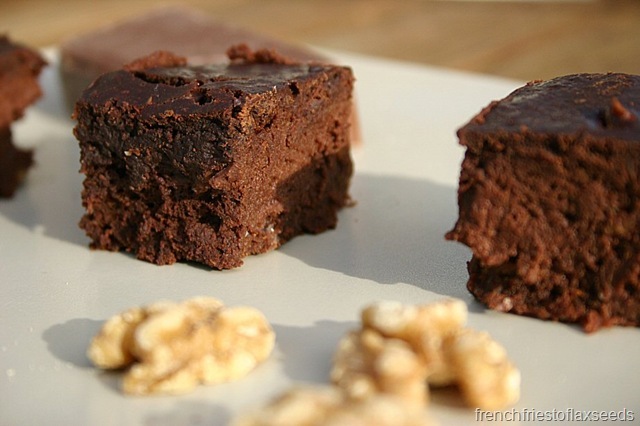 If you want to give these brownies a try (and I recommend you do), you can get the recipe here. 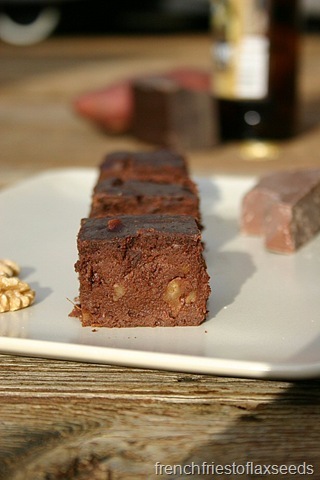 Go forth and create delicious beer infused desserts! I wish I could taste it before wasting good chocolate on something I might not like. But, you have not steered us wrong in the past. So, here goes!